Set Of two distress Rose color card butterfly Post card handstamped Alice In Wonder Land . 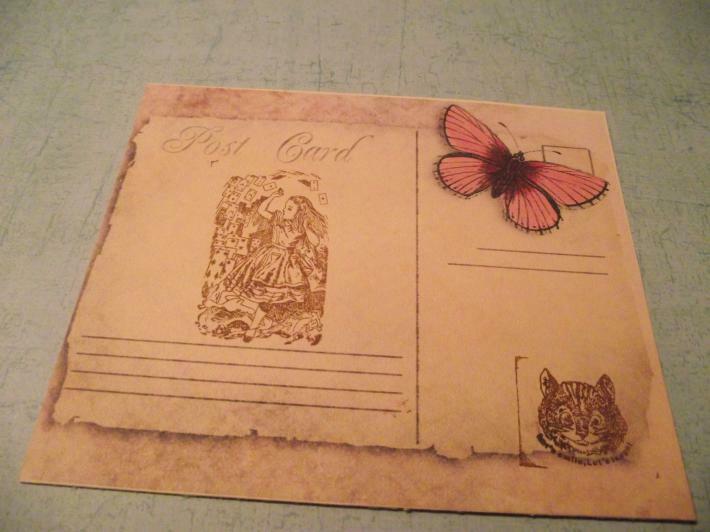 Very lovely the card looks with It's vintage style distrees look. 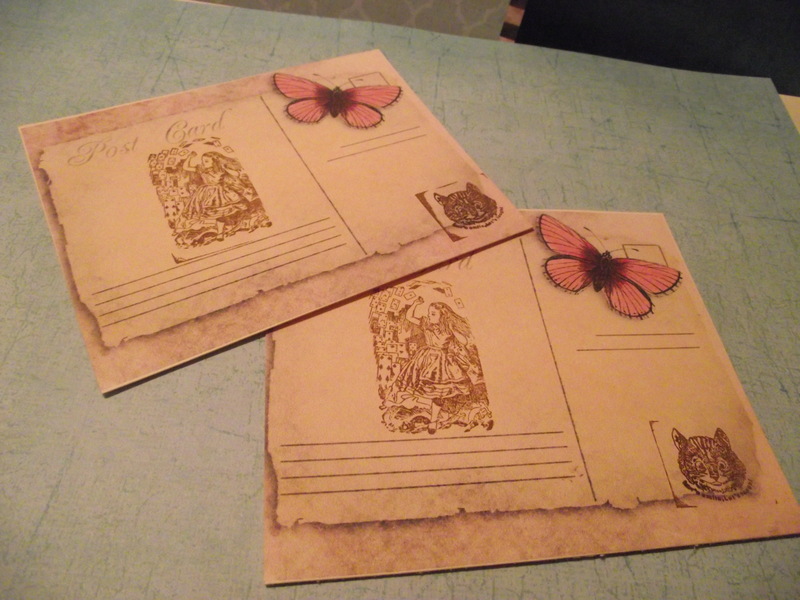 The post card measures 3 1/2" X 4 1/2" These cards can be used as thank you cards,invites,note cards,scrap book,party favors,and many other Ideas you can think of.